Save time planning purchase orders. Send them directly to your suppliers from Inventory Planner. Keep track of outstanding POs and completed purchases. 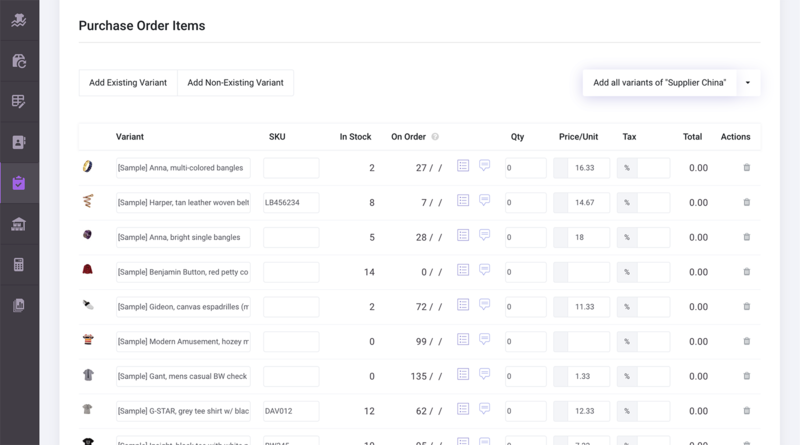 Been using it for over a year, we manage thousands of items for sale, and more than 50 suppliers, Inventory Planner has taken away the "drama" and time expense to place new orders. Use replenishment suggestions to create purchase orders. 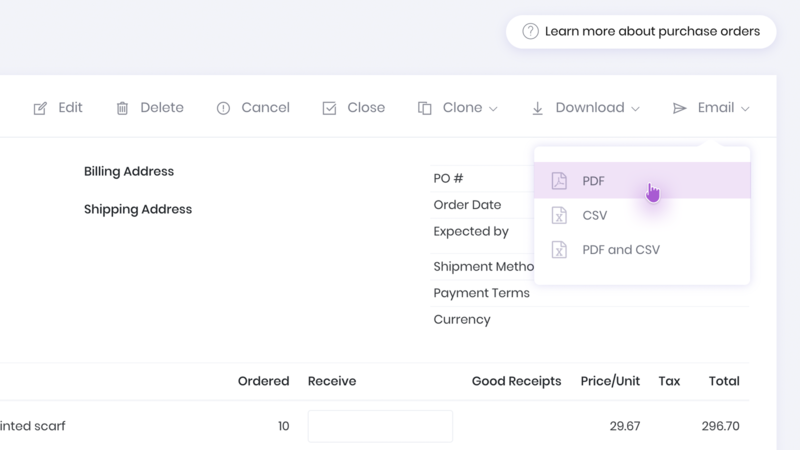 To simplify the process even more you can upload vendor references and product cost prices to have them prefilled in purchase orders. Once a purchase order is created, replenishment suggestions are adjusted accordingly. Inventory Planner manages the entire process of product procurement. 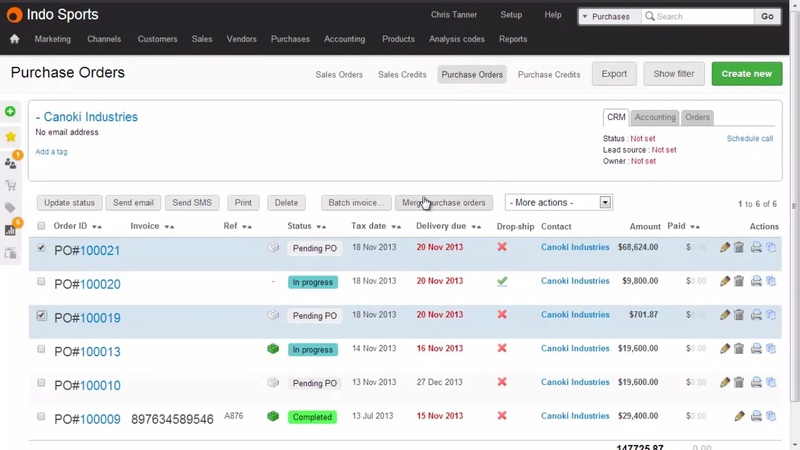 You can create and edit purchase orders, generate invoices, and mark products as received. You can choose to partially or fully receive purchase orders. Effortlessly email purchase orders to your suppliers directly from Inventory Planner in the pdf or csv format. You can also download the invoice as a pdf to print it out. You can create purchase orders automatically from Inventory Planner on your multichannel inventory management system, such as BrightPearl, Ordoro, and others. All purchase orders will be synchronized and taken into account in replenishment suggestions. For each of your suppliers you will be able to see how much product you have on order and in stock, the cost and retail value of products, the turnover. 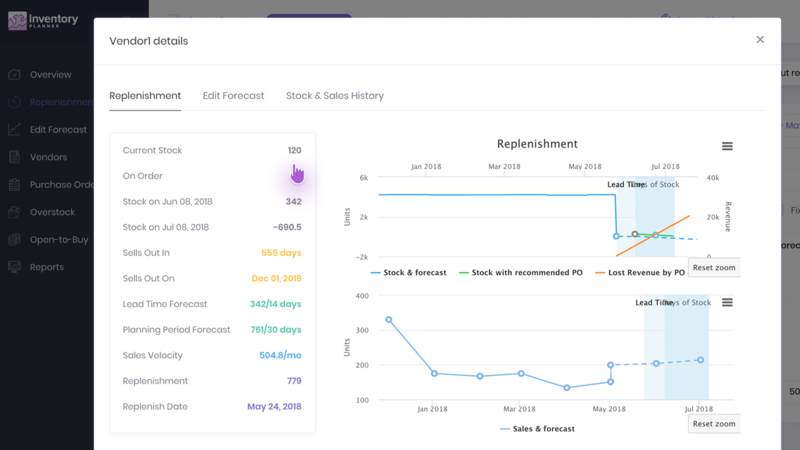 The forecasted sales for each vendor allow you to evaluate how much you should invest in it.